Frantic Mama: Who ARE BluCollection and DisneyCollectorBR? If you don't recognize the names BluCollection and DisneyCollectorBR, then you must not have a kid watching adults play with Disney cars on YouTube. They even have the "rare" ones-- Tomber, Tank Coat, and RPM, just to name a few (again, if those don't ring a bell, your kid hasn't reached the true outer limits of fascination with the Cars and Cars 2 movies). My son hard at work with YouTube. Anyway, my 3-year-old son and I stumbled upon these YouTube videos last year, only to find out that my sister and her sons have also been tuning in. Ha! 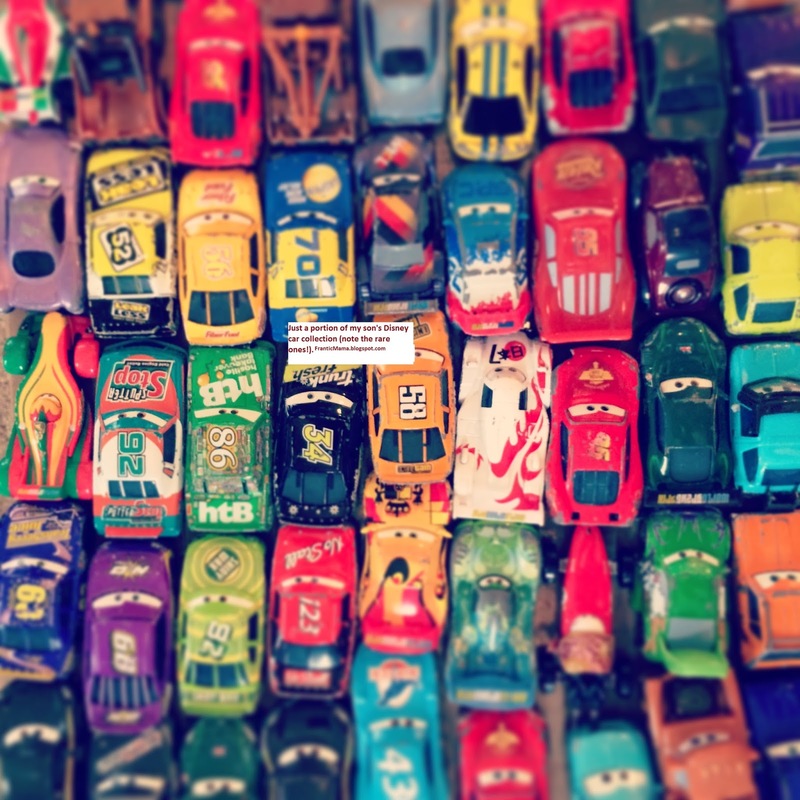 These collectors have hundreds-- if not thousands-- of Disney cars, and many of the accessories and racetracks. Their channels receive MILLIONS of views. Rumor has it, they make a lot of money doing this. Here's the question that has been nagging my husband and me recently: WHO ARE THEY? Neither BluCollection guy nor DisneyCollectorBR lady ever show their faces on the channel. Both have accents that are not American English. And that's about all we know about them. A cursory search on the Internet yields almost no information about them. If you get a little fixated (as we have) you search even more [I know, I know, what has become of me? ], and still there is very little information out there about them. So, does anyone have any information on them? Who else watches these channels?! *June 2014 Update: Comments on the blog seem to confirm DisneyCollectorBR is Brazilian (based on accent and her ability to speak Portuguese. I guess the "BR" makes sense.). *A second recent comment (see below) has suggested that the two YouTube sensations are married and living in Florida together! Fascinating! My son is currently obsessed with DisneyCollectorBR's reviews of the Kinder Surprise eggs and we make our own versions using old plastic Easter eggs and filling them with Micro Drifters, stickers, and, of course-- "flyers!" For updates, follow Frantic Mama on: Facebook, Twitter, Pinterest, Google+, and/or Instagram! Thank you so much for your support. Psssst! You can read more of my work by liking my Facebook page and signing up for my Newsletter! Find more of my work on: Mamalode and What the Flicka?